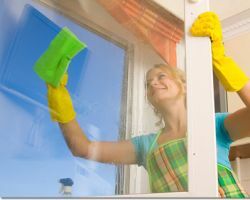 With so much choice when it comes to maid services in Tucson it can be very difficult to decide which one is the best. Salus Cleaning has been the number one choice for many residents in the city for many reasons. From their excellent customer service to their attention to detail, you will immediately love the quality of the clean provided by this company. If their cheap rates and clear dedication to their clients don’t have you convinced then their recommendations and reviews certainly will. 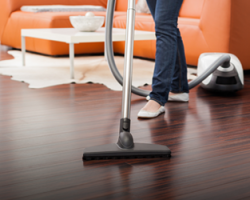 Monsoon Maids has revolutionized the way that you can hire Tucson cleaning services. They have started with how you book their services. In fact, most clients are able to book a maid in only 60 seconds. After you have selected what you need and your ideal schedule, Monsoon Maids will send over a highly skilled maid to clean your home. This company understands how difficult it is to trust a housekeeper in Tucson and that is why they provide only fully background checked maids that they have interviewed in-person. While it is relatively easy to put your trust in a commercial cleaning service, doing so for your home is much more difficult. Tidy Tucson does everything to make their service as reliable and trustworthy as possible. Clients can schedule their own appointments to fit their lives. Tidy Tucson sends two cleaners to every job and if it is a regular visit the homeowner will be sent the same two maids. They will bring their own cleaning equipment and will always arrive exactly on time. Whether you are searching for an office cleaning service or professional house cleaning you should look no further than Fresh Image. Use their online tool to get a quick and free quote for their incredible services. Whether you choose to use their service on a daily basis or you would rather have a one-time clean their maids will work wonders in your home or office. Their cleaners understand the needs and expectations of Tucson residents and always seek to leave their clients completely satisfied. Starting with a 100% satisfaction guarantee Arizona Elite Cleaners has developed a service that always puts the customer first. They use a unique system that provides affordable prices based on square footage of your property rather than an hourly rate. The owner, Angelica, has almost two decades of experience in the local house cleaning service and she personally trains her new staff members. This company does not believe in contracts and provides completely free cleaning estimates. 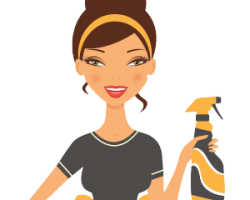 For a locally owned maid service in Tucson, AZ you can trust you should turn to Arizona Elite Cleaners.